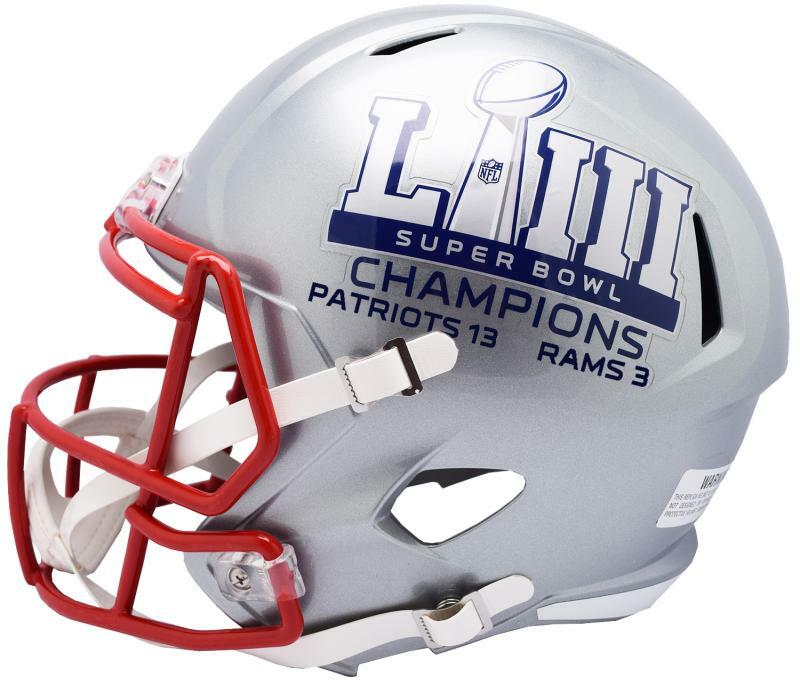 Super Bowl 53 Champions Patriots Speed Replica Helmet by Riddell | Sports Memorabilia! Celebrate the Patriots 6th Super Bowl Win! 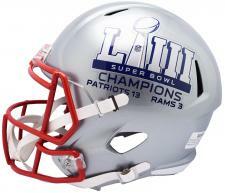 This is the Speed Replica Super Bowl 53 Champions Helmet for the February 3, 2019 Super Bowl, Patriots vs Rams played at the Mercedes-Benx Stadium in Atlanta, Georgia. Minnesota. 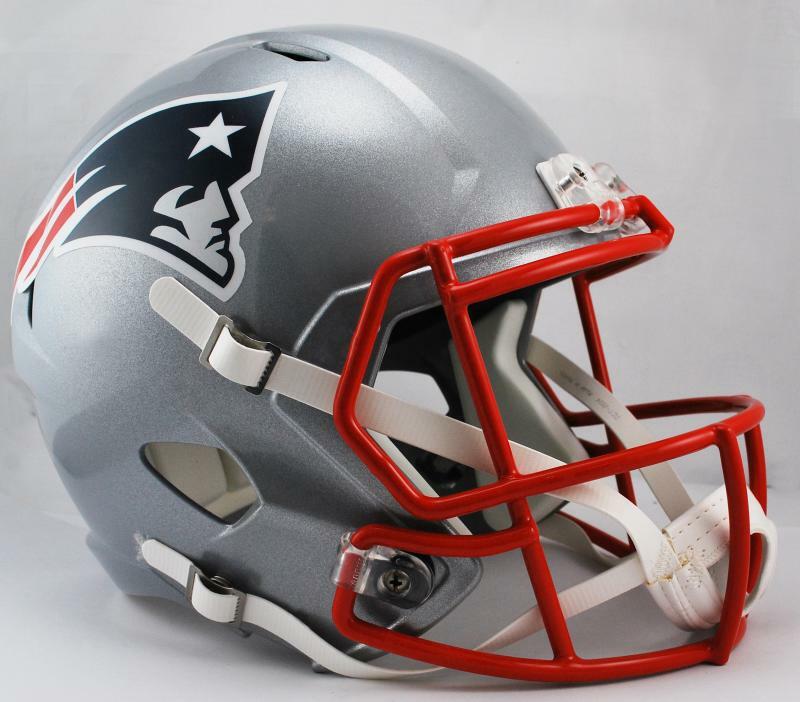 Each helmet has the Patriots shell and facemask with official Super Bowl LIII logo on the left side and the team's standard decal on the right side. Features final game score beneath the Super Bowl Logo (full size only). LIMITED PRODUCTION. Manufacturer's upcharge included. The Super Bowl 53 Helmet Speed design is the primary helmet used by the current NFL and college players of today. The Speed Replica includes real interior padding, same facemask as the authentic version and a 4-point chinstrap. Medium size Speed shell. Officially licensed and made by Riddell. Great for autographs. Approximately 10" tall. Also available in Speed Authentic.